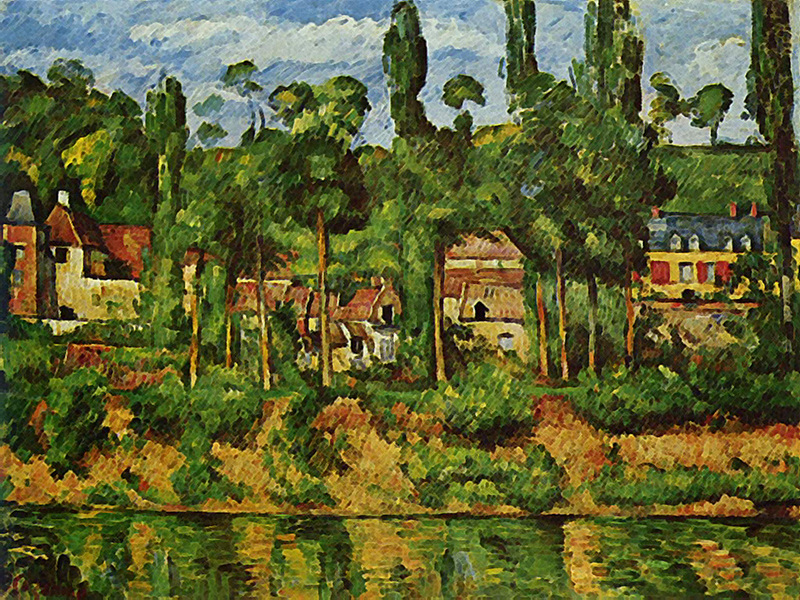 FROM JASON’S DESKTOP — I’ve had an itch lately for colorful impressionist paintings. I don’t know why. 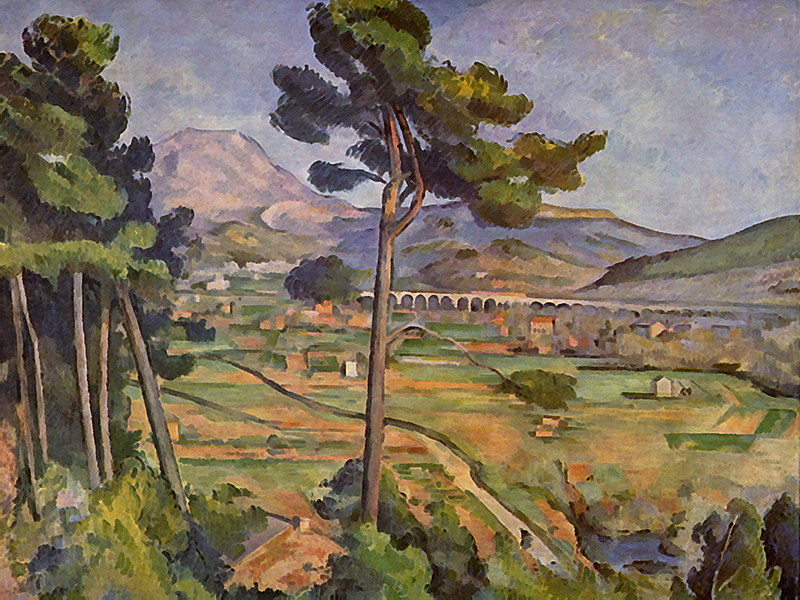 My tastes normally run to art deco (see: Batman The Animated Series), but in the past couple of weeks I’ve gained great contentment from heavily-daubed European country-scapes. Now, I’m no real art nerd, though I do love both versions of The Thomas Crown Affair. So I really have no eye or authority to comment on paintings; I’m a groundling, here. 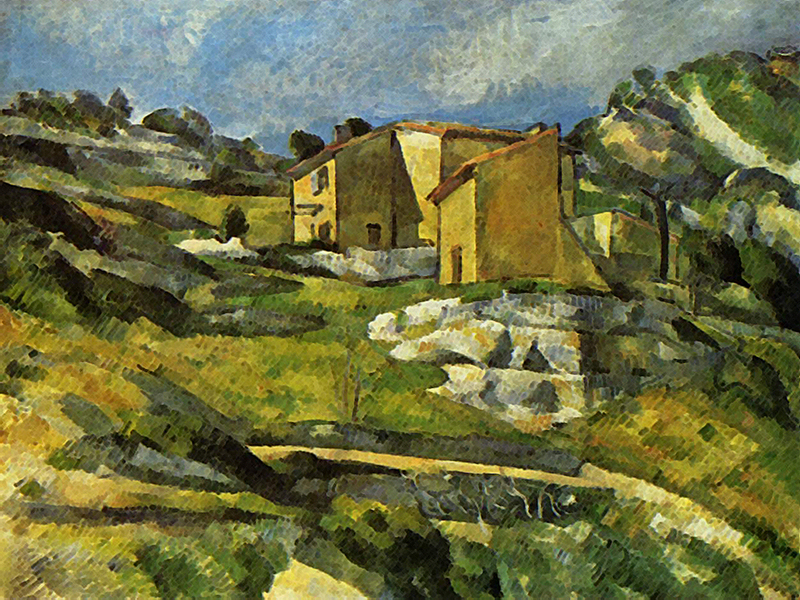 But to me, Cézanne is different because of his use of color. 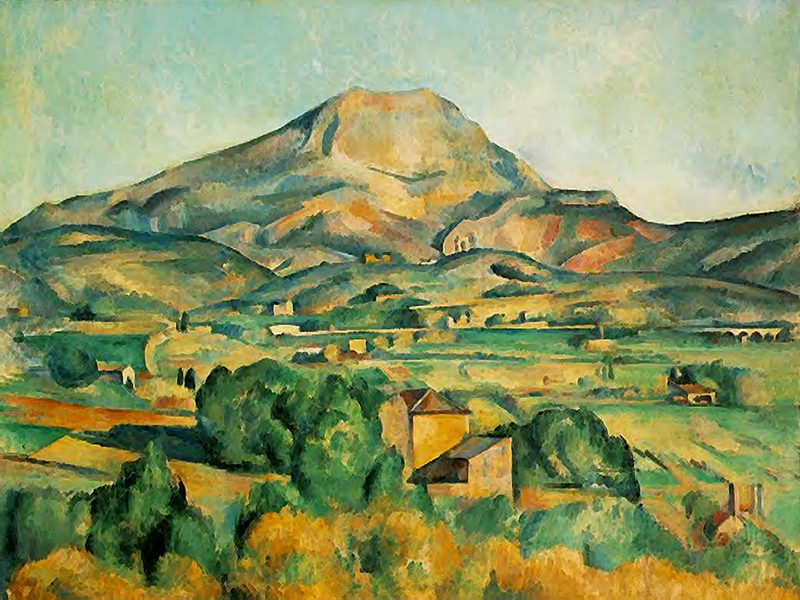 Sure, other 19th century painters (especially Cézanne’s French compatriots) had already experimented with shape being the most important element of a work; what I like is his ability to use bright, active colors further define those shapes. So enjoy these desktop wallpapers. As usual, I’ve touched them up with a couple of Photoshop filters to reduce fading and fuzziness, and resized them to the 1024×768 standard. I know there are better monitors out there, but again I am a groundling, trundling away with my pitiful 4:3 display*. Enjoy. *That will change come Christmas, won’t it, Lisa? Yes. Yes it will. You know it’s true. Buy me a big LCD widescreen monitor. You know you want to. Do it. Everybody is doing it. You want to be like the cool kids. C’mon. Do it. Do it. DO IT. DO IT NOW.